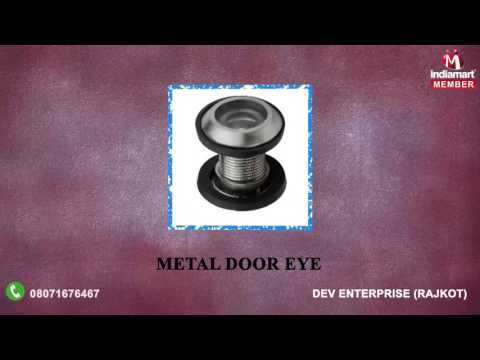 We, Dev Enterprise, started its operation in the year 2001 at Rajkot district of Gujarat, are one of the prominent manufacturers, suppliers and wholesaler of wide range of optimum quality Door Accessories. The product range offered by us is inclusive of Cabinet Handles, Curtain Brackets and Door Magnets. Offered door hardware and accessories are designed from quality assured such as stainless steel. Their seamless finish, lightweight, contemporary appearance, makes these eye-catching door hardware and accessories highly demanded across various residential and commercial establishments.